1805 Madison Avenue was built around 1886, when the property was first advertised in the Baltimore Sun as available to rent for $35 per month. In July 1888, Benjamin and Rosetta Rosenheim purchased the home and moved in with their two young children. Benjamin was a lawyer with an office at 19 East Fayette Street. When Rosetta needed help at home in January 1889, the Rosenheim household placed an advertisement in the Sun seeking a “White Girl, from 15 to 17 years to nurse two children, aged 2 ½ and 4.” Similar advertisements appeared again in June 1889 and March 1890 seeking a caretaker for the two children. The family didn’t stay long, however, and on May 29, 1893, Benjamin and Rosetta Rosenheim sold the home to Julia Gusdorff. The home sold again in 1902 and 1914. In the late 1910s and early 1920s, many of the German Jewish immigrants who had occupied the Madison Avenue homes for the past couple decades began moving northwest into new neighborhoods like Park Circle northwest of Druid Hill Park. Replacing these residents were African Americans home-owners and tenants. In 1923, Keiffer Jackson, husband of the well known civil rights activist Lille Mae Carol Jackson, purchased 1805 Madison Avenue for $3200. Born in Baltimore on April 29, 1922, Parren James Mitchell moved around as a child. Early on, his family lived on Stockton Street near Presstman Street just south of Saint Peter Claver Church which had stood on North Fremont Avenue since September 9, 1888. He was seven years old when his family moved into a new home at 712 Carrollton Avenue. 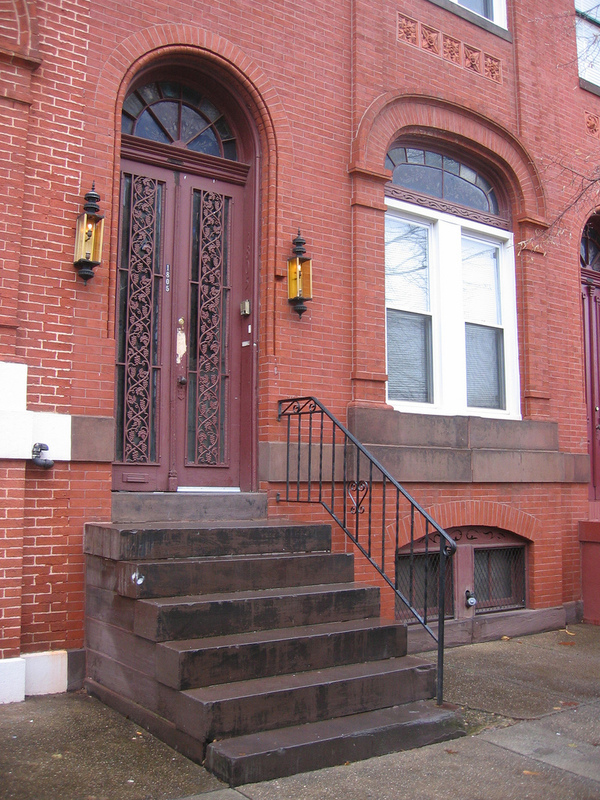 The new neighborhood had started life as an elite suburb built between the 1870s and 1880s within a short walk of Lafayette Square or Harlem Park. Prior to the 1910s and 1920s, the population of the neighborhood was largely segregated white (although many African American households lived in smaller alley dwellings on the interior of the district’s large blocks). Segregation in the Harlem Park neighborhood was enforced through deed restrictions, local legislation and even physical attacks on black families that attempted to move into the neighborhood. The renovation to the house cost $32,000 and combined the first and second floor of the building with a new staircase returning the stories into a single unit. He rebuilt the third floor as a rental apartment, a configuration that remains in use at the building today. The home may have been a source of pride and a sign of his strong commitment to Baltimore but it was also a site of conflict between Congressman Mitchell, the Baltimore City Police Department, and even the Ku Klux Klan. Between 1968 and 1974, before Mitchell’s move to 1805 Madison, the Baltimore Police Department Inspectional Services Division (ISD) kept his home under twenty-four-hour surveillance, illegally bugged his home and office telephones for eight months, and placed paid informers in his congressional campaigns. Beginning in 1971, Mitchell began calling for the resignation of Baltimore Police Commissioner Donald Pomerleau. When the ISD surveillance program (and its close ties to the FBI) were revealed, Congressman Mitchell extended his criticism to the ISD. 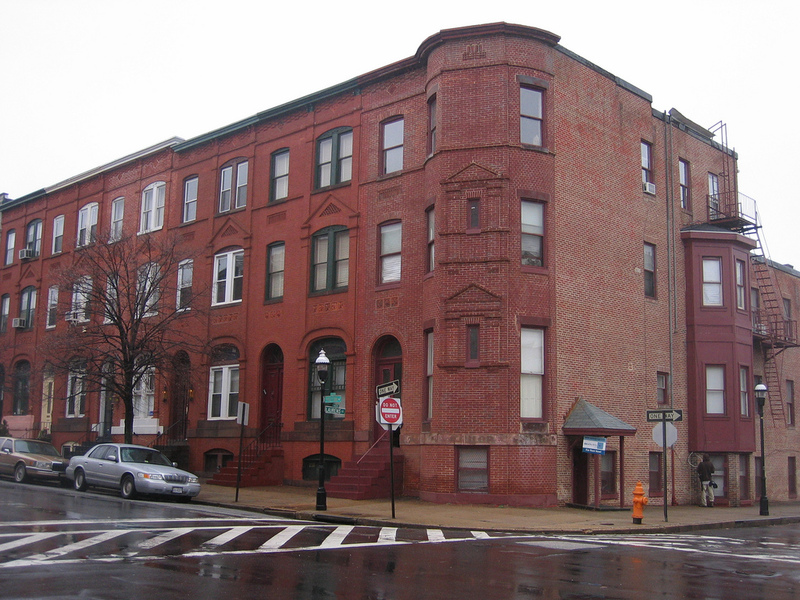 In 1977, Parren Mitchell and his neighbors secured Madison Park designation by the Baltimore Commission for Historical and Architectural Preservation as a local historic district – the first in an African American neighborhood. The lead champion of the historic district was Michael B. Lipscomb, an aide to Parren Mitchell and office manager at the Congressman’s Bloomingdale Road office. Parren Mitchell sold the property to Sarah Holley in 1986 and moved just a few blocks away to 1239 Druid Avenue. He remained at that location until 1993 when he returned to Harlem Park and lived at 828 North Carrollton Avenue where he remained until 2001. This property has been featured on tours of Lafayette Square and is now used as offices for the Upton Planning Council. Sarah Holley lived at the 1805 Madison Avenue from 1986 through 1989 and, since 1989, the property has been maintained as a rental property. “Congressman Parren Mitchell House,” Explore Baltimore Heritage, accessed April 23, 2019, https://explore.baltimoreheritage.org/items/show/508. Published on Apr 29, 2015. Last updated on Nov 27, 2018.